Showtime's gothic horror drama Penny Dreadful is coming back this May, after leaving fans with an explosive season 2 finale last July. The psychically gifted and tormented Vanessa Ives (Eva Green) finally beat the witch Evelyn (Helen McCrory), and resisted the demon's temptations delivered via a creepy doppelganger puppet. Her happily-ever-after with Ethan Chandler (Josh Hartnett) the werewolf was not to be, however, as he decided to turn himself in to authorities for the atrocities he committed under a full moon. Vanessa was left without her confidantes at the end of the season, with Ethan in custody and Sir Malcolm (Timothy Dalton) off to Africa to lay the fallen Sembene (Danny Sapani) to rest. Even her chats with Frankenstein's creature, Mr. Clare (Rory Kinnear), came to an end when he killed his captors at the wax museum and decided to head "away from mankind." For all the struggles Vanessa has already endured, it looks like season 3 will be just as rough for her. The new trailer for Penny Dreadful (which you can watch above) shows the series' heroine facing danger on several fronts once again. This includes spending time in a padded cell, confronting an unseen figure with the haunting declaration: "Two brothers. Fallen from Grace. The spirit...and the animal. You seek my soul...you my body. But both are promised to another." The clip also offers a glimpse of terrifying couple Dorian Gray (Reeve Carney) and Lily Frankenstein (Billie Piper), possibly embarking on what they'd promised Lily's creator Victor (Harry Treadaway) would be a reign of terror by a "master race" of immortals like themselves. They've already recruited a young acolyte named Justine, played by Jessica Barden (Far from the Madding Crowd, Hanna). At the same time, Ethan is promising a "reckoning" of his own. The trailer also offers a familiar face in that padded cell with Vanessa. Patti LuPone, who appeared in season 2 as the Cut-Wife, returns as a completely different character. She'll play therapist Dr. Seward, who along with a mysterious secretary (Sam Barnett), has an unusual treatment plan in store for Vanessa. "It is a show that is one long saga...as opposed to Homeland with national security, each season is fairly discrete. So, I don't know what the longevity of that show is. Is it going to be a long-running show or is going to be a three or four of five season show? We haven't really decided yet." 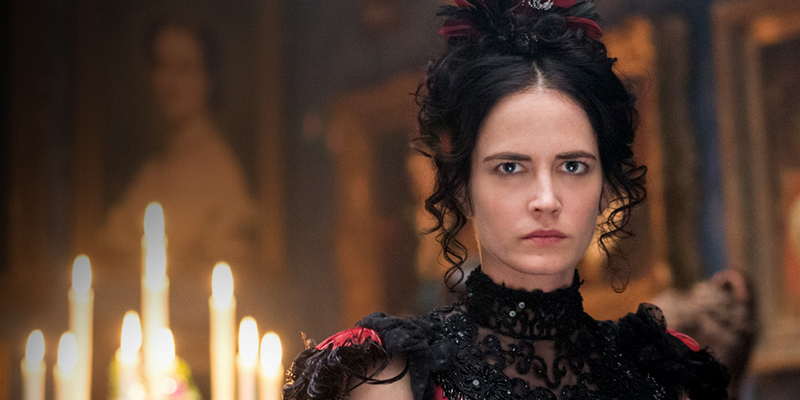 Television fans should be hoping for many more seasons of Penny Dreadful. Unlike much of the slasher-horror genre, the series manages to be truly terrifying, with both sustained dread and shocking twists. The show isn't afraid to separate the ensemble cast in order to truly develop each character in standalone episodes, and the dialogue manages to be poetic, thought-provoking, and chilling all at once. Green is a standout for her portrayal of Vanessa, a role that requires every level of emotion and terror that exists. The season 3 preview shows she has many more challenges ahead, and hopefully the drama will measure up to the high level achieved the last two years. The show's sometimes languid pace and drawn-out reveals, however, may have caused some viewers to tune out before they could truly appreciate the strengths of the show. If the new season is more action-packed, particularly to start with, the series could get its numbers back up to be worthy of a season four. Season 3 of Penny Dreadful premieres on May 1, at 10/9c on Showtime.